Over 4000 of the state’s best surf sport athletes will make their way to Ocean Beach- Umina from Wednesday for the start of the 2016 NSW Surf Life Saving Masters and Open Championships for what promises to be a barnstorming five days of competition. In the Opens, defending champions Newport will again field a strong team with Nutri-Grain Competitors Max Brooks and Kendrick Louis among those looking for medals, while fierce rivals Manly will be boosted by the inclusion of veteran Nathan Smith and young guns such as Jayke Rees and Emily Doyle. Collaroy’s Dean Scarf and Katie Williams will be out to retain their titles on the beach but will face stiff competition with Helensburgh-Stanwell Park SLSC among those fielding a talented beach team. Boosted by their success at last month’s Country Championships the Far North Coast will field a team of over 50 lifesavers with Luke Chaffer, Scott McCartney, Angus McPhail (Cudgen Headland), and Jy Timperley, Joanna Charles, and Scout Hembrow (Byron Bay) among the Country medallists looking forward to the challenge of competing against their bigger branch rivals. Sawtell’s Tahlia Kollen won 25 medals at the Country Champs last month and is part of a contingent of North Coast lifesavers who will make the trip, while Redhead’s Lilly Costello will be out to continue her strong 2015/16 season which saw her selected in the NSW Youth Interstate team that competed at Torquay in January. Hosts Central Coast will field almost 250 competitors in order to take full advantage of the last state championships in their home waters. Umina’s Jemma Smith has been in great form this summer and will be out to continue her winning streak. Avoca Beach’s Kaitlyn Matuschka and Brad McCloghry are among a host of local competitors who will enter the titles as defending champions. A number of Illawarra and southern NSW clubs have their strongest athletes competing with a high chance of medals in number of events throughout the weekend. Steine Lofts from Mollymook along with a host of Helensburg-Stanwell Park beach competitors will be the ones to watch at Saturday’s finals. The southern clubs will also have a strong presence in the water from Warilla-Barrack Point SLSC and Moruya, Batemans Bay and Broulee in the boats. There will also be an international flavour at the championship with three Japanese athletes lining up to take on the best that NSW has to offer, while a small contingent of surf lifesavers from Darwin will also make the trip south. NSW Surf Sports Manager Rob Pidgeon expects a strong competition. “I think all of us as fans of surf sport are looking forward to what promises to be an extremely exciting program of racing. The NSW Championships always delivers and with many of these athletes pushing for selection in the Australian team to contest the World Titles later this year every race has something on the line,” Mr Pidgeon said. “I would like to wish all competitors, coaches, and officials the very best of luck for the remainder of the Championships,” he concluded. The 2016 NSW Surf Life Saving Championships are proudly supported by ClubsNSW and will continue at Ocean Beach - Umina. Open Competition from Friday 11 March until Sunday 13 March. 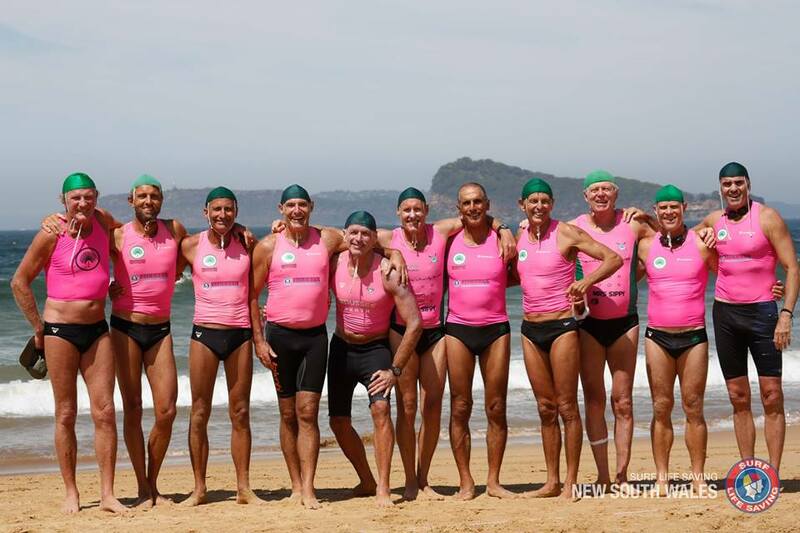 The 2016 NSW Surf Life Saving Masters Championships looks set to go down to the wire with Bondi Surf Bathers Life Saving Club holding a slender lead over reigning champions Queenscliff after an exciting day of competition at Ocean Beach – Umina. North Bondi SLSC, Coogee, and hosts Umina round out the top five positions on a day where the first four clubs cracked the 100 point barrier. A helpful east-south-east swell was enthusiastically greeted by the competitors on Wednesday morning with the water entrants keen to make the most of the conditions. There were a number of outstanding performances on the opening day of Masters with many of the competitors winding back the clock as they looked to get their competition off to the best possible start. 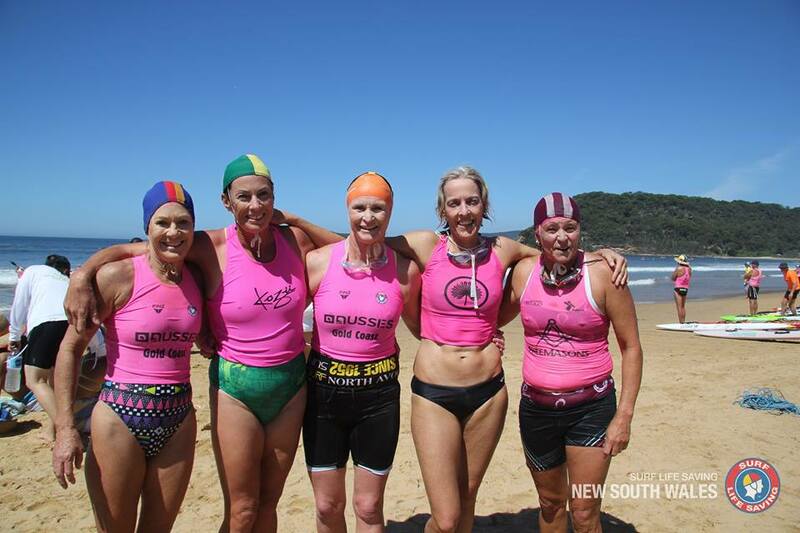 Cudgen Headland’s Nadine Canning who is competing in her first Masters State Titles began her career with a bang winning 5 gold medals in the 30-35 Swim, Rescue Tube, Ironwoman, Ski, and Board Race. “This is my first year in Masters so it’s a little different. It’s pretty relaxed and a lot of fun. I’m still doing Opens on the weekend so this is just a little bit more chilled out! It’s good to have a hit-out before the big stuff on the weekend,” she said. Another multiple gold medallist on the first day of competition was Terrigal clubbie and reigning Masters Athlete of the Year Paul Lemmon who took out the 40-49 Board, Swim, and Ironman, and finished with a bronze medal in the Rescue Tube.The Ironman was Paul’s 9th straight State Title and he was delighted with the performance believing it’s a reflection of all the hard work he has been doing at training. “This is the time of year that you want to be performing so I’m very happy and the key is now staying illness and injury free,” Lemmon said. Chad Poland (Nowra-Culburra SLSC) has only been back in the country for a little over a week after a 7 month deployment overseas, and the endurance star picked up where he left off claiming two silver medals in the 2km Run, the 30-34 Board Race, and Gold in the Ironman. 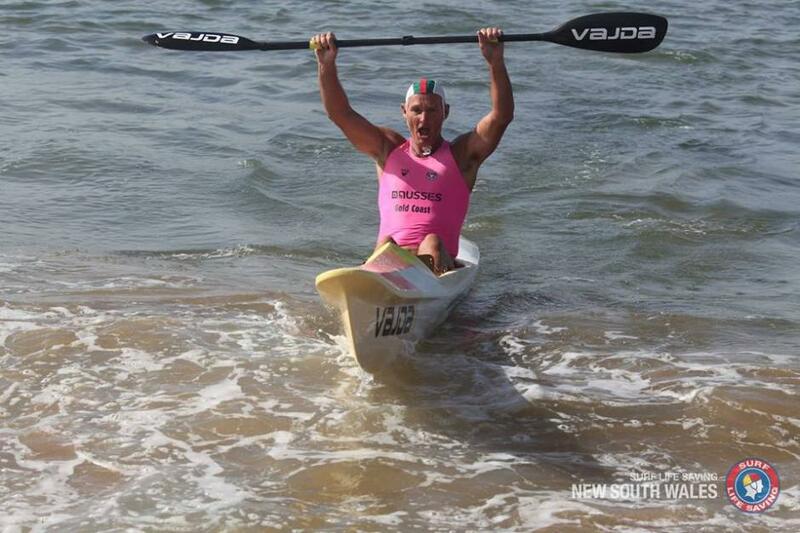 Collaroy’s Ross Langbein again highlighted why he can still match it with the younger competitors on the sand around Sydney Northern Beaches winning the 30-34 Beach Sprint/Flag double for an impressive 4th straight year. “You’ve got to go out there and enjoy the competition and enjoy what you do, that’s why I keep coming back every year,” Langbein said. For many of these competitors, today marked the day that they could finally consider themselves a state champion and for some it had been a very long wait. Michael Waghorn (Caves Beach) won the 35-39 Beach Flags event after years of seconds and thirds, and was delighted to finally get his hand on a gold medal. “I’ve been at Caves Beach for 30 years now so it is great to win gold for them,” he said. 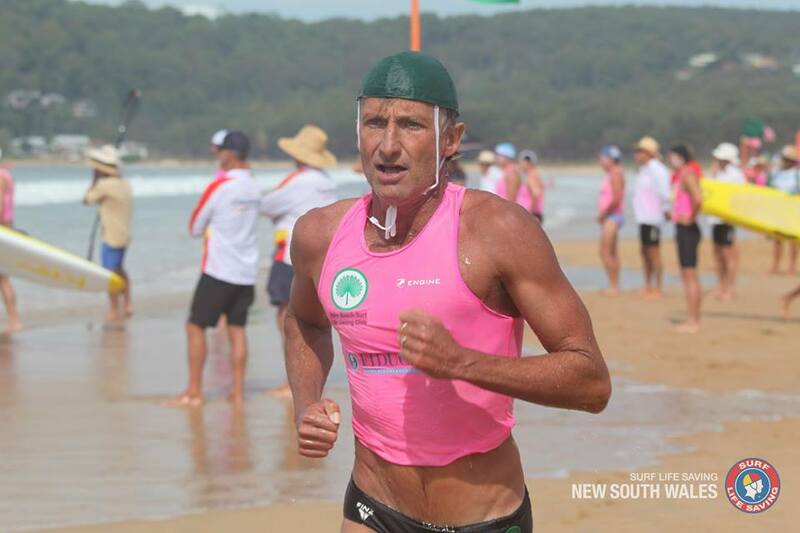 Another athlete who had plenty to smile about was Craig Burke (Warilla – Barrack Point SLSC) who helped himself a hat-trick of gold in the 40-44 Rescue Tube Race, Ironman, and Swim. Attention now switches to the team events for the second day of competition with plenty more memories set to be made. The 2016 NSW Surf Life Saving Championships are proudly supported by ClubsNSW. Day 2 of the Masters Championships will continue on Thursday 10 March before the Open Championships get underway from Friday 11 – Sunday 13 March. 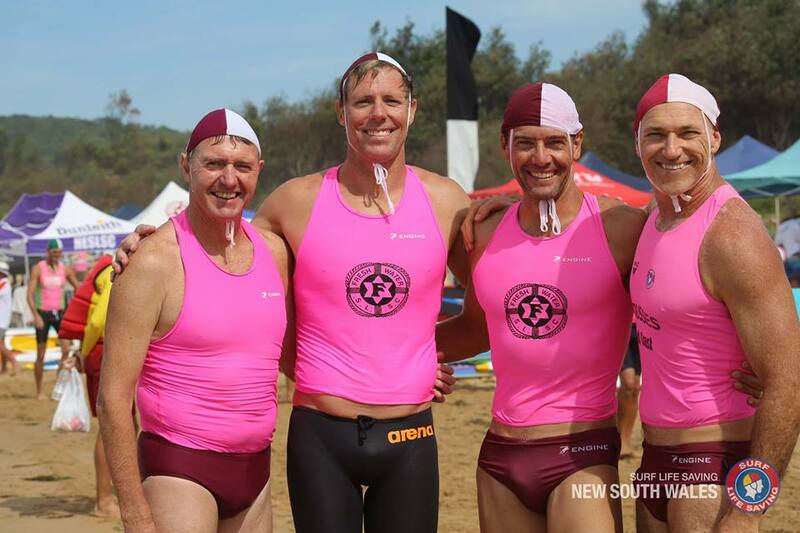 Bondi Surf Bathers Life Saving Club have extended their lead at the top of the club point score ahead of Sydney rivals North Bondi and Queenscliff during an exciting day of teams competition on the second day of the NSW Surf Life Saving Masters Championships at Ocean Beach – Umina. The onset of early morning fog on Thursday caused a temporary halt to proceedings, but the short delay didn’t last long and the Masters competitors soon hit the water with a vengeance. Byron Bay SLSC had a day to remember as they forced their way into a coveted top 10 spot on the back of a number of strong results. The team of Joanne Kay, Karen Irwin, and Helen Murray combined to win gold in the 130 Years Female Taplin, while Kay and Murray teamed up with Gai Coleman to win the 130 Board Relay before the trio continued their golden run in the 150 Years Ski Relay. Wanda enjoyed success in a fiercely contested Men’s 110 Years Taplin. The team of Scott Allen, Joel Bolewski, and Cameron Pyett did just enough to hold off a fast-finishing Bondi and Avoca Beach with Kurt Hanson (Freshwater) almost dragging his team into medal contention with a sensational last leg to finish fourth. 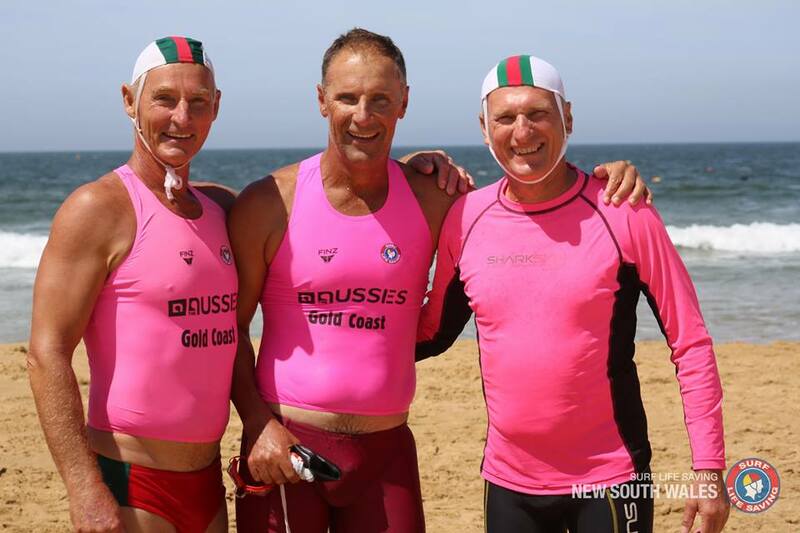 After winning a tough heat against their Hunter rivals Stockton and Fingal Beach SLSC, the Redhead team of Mark Ayre, Shane Abrahamson, and Ray Terril went on to comprehensively win the final of the 130 Years Male Board Relay. “It was a team effort that was set up by our first ride by Mark and then Shane was able to hold on and build on it further. I enjoyed that little wave at the end as they always help,” said Terril after the race. Bondi’s Dori Miller has enjoyed a golden weekend further enhancing her reputation as one of the top Masters competitors in NSW. During the competition she won gold medals in the 45-49 Swim, Rescue Tube, and the 110 Years Swim Team Race, 110 Years Female Taplin, and a bronze in the 110 Years Female Board Relay. 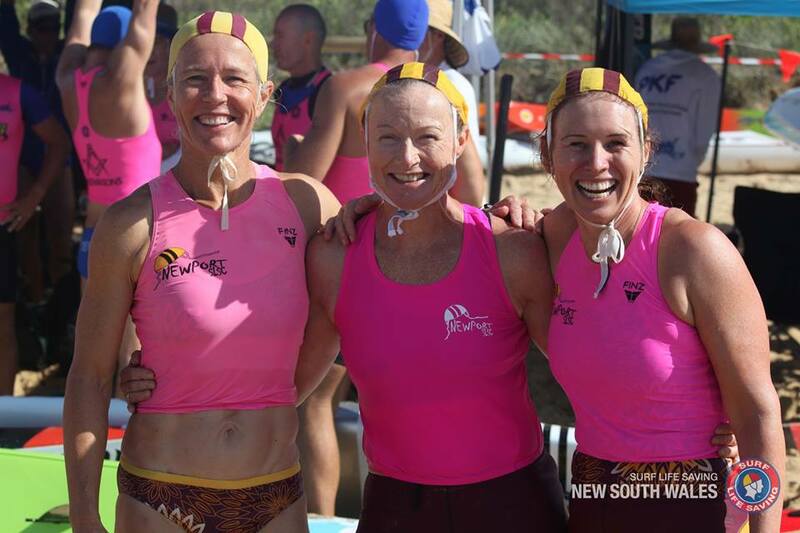 Another Bondi team (among many) who had plenty of reasons to smile was the women’s 30-34 Board Rescue team with Andrea Miller and Emily Gillies pairing up to win gold. “It’s been a fantastic carnival – we’ve loved every minute of it and it’s so good to get a wave. The conditions were actually a little choppy out there today, but every beach is different,” said Gillies. “We kept looking for a wave right at the end but we couldn’t get one, fortunately we had a big enough lead it didn’t matter but we were hoping that no one was going to come from behind. We’ve been together for 4 years and really enjoy racing together. It definitely helps if you understand your partner,” Miller added. 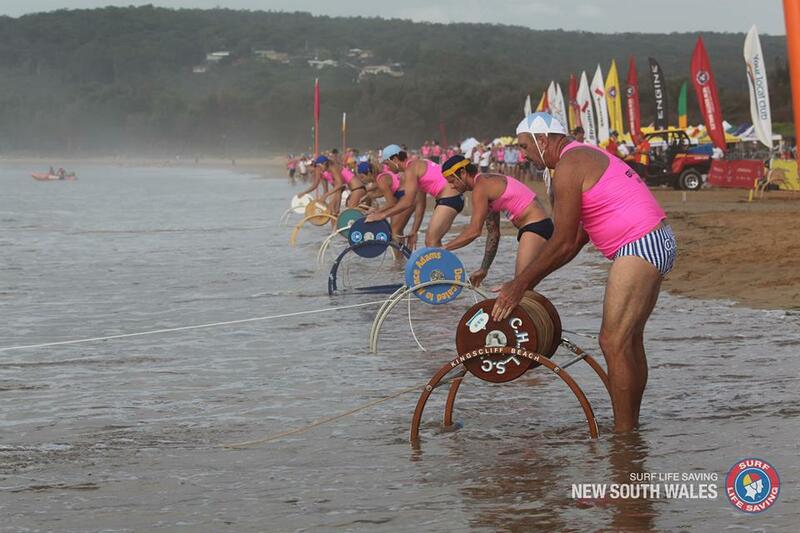 Although they hold a near unassailable lead, Bondi’s coronation as the state’s premier masters club will have to wait one more day with the surf boat competition to be held tomorrow, and then they will be able to celebrate their first ever Masters title. 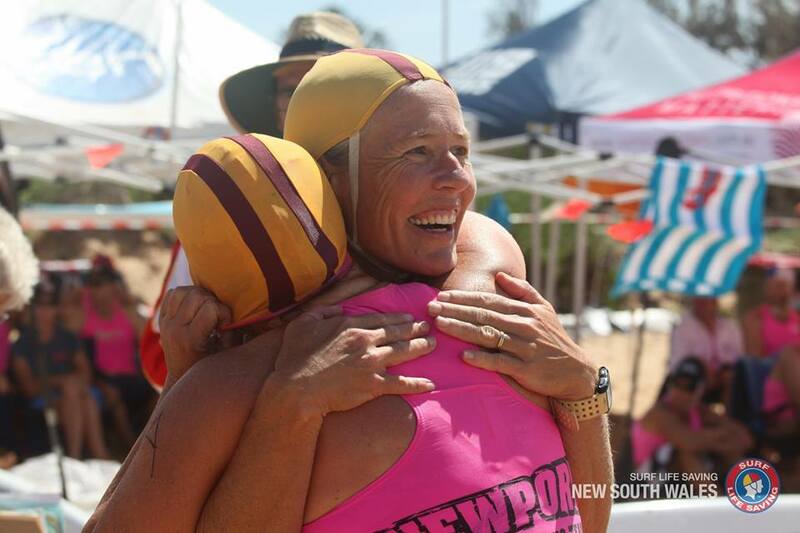 The 2016 NSW Surf Life Saving Championships are proudly supported by ClubsNSW and will continue tomorrow Friday 11 March through to Sunday 13 March with the Open Competition. 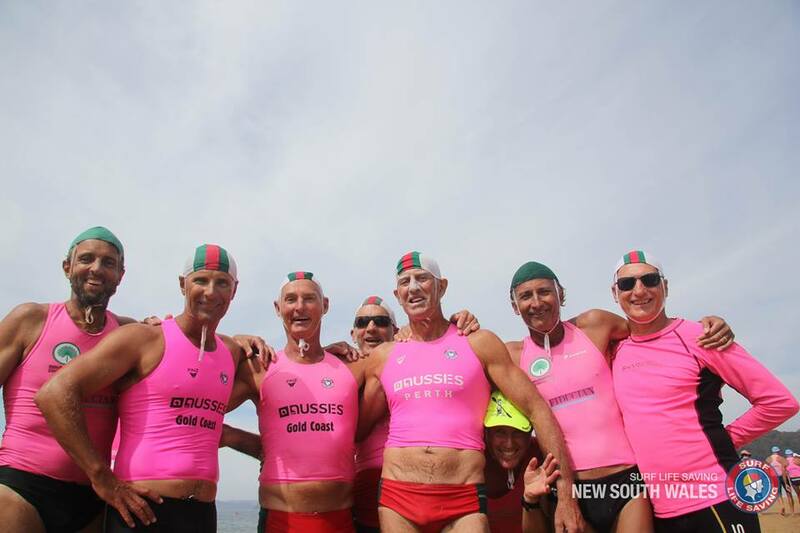 The 2016 NSW Surf Life Saving Masters Championships will always be fondly remembered by the members of Bondi Bathers Lifesaving club after they took out the overall point score for the first time. Victory was made even sweeter after they held off beach rivals North Bondi and defending champions Queenscliff in what was a thrilling end to the competition. Bondi surged to a lead they would never relinquish by the end of the first day before ultimately winning by 53 points. Bondi’s Dori Miller enjoyed a golden 48 hours further enhancing her reputation as one of the top Masters competitors in NSW. During the competition she won gold medals in the 45-49 Swim, Rescue Tube, and the 110 Years Swim Team Race, 110 Years Female Taplin, and a bronze in the 110 Years Female Board Relay. “It’s a fantastic feeling to be crowned championships as it’s a whole club effort everyone is certainly very happy. We made a bit of history for our club today,” said Masters Captain Gary Emmerton. Mr Emmerton noted that it was a whole club effort that ultimately paved the way for the historic win, but that it was also driven by almost a generational change within the team. “I think our Bondi team is now very strong and a large part of that is a number of competitors are moving into the 40 years plus age group. They’ve had some time off and had a family and are now moving back into competition and are still extremely skilled athletes,” he concluded. The 2016 NSW Surf Life Saving Championships are proudly supported by ClubsNSW and will continue until Sunday 13 March with the Open Competition. 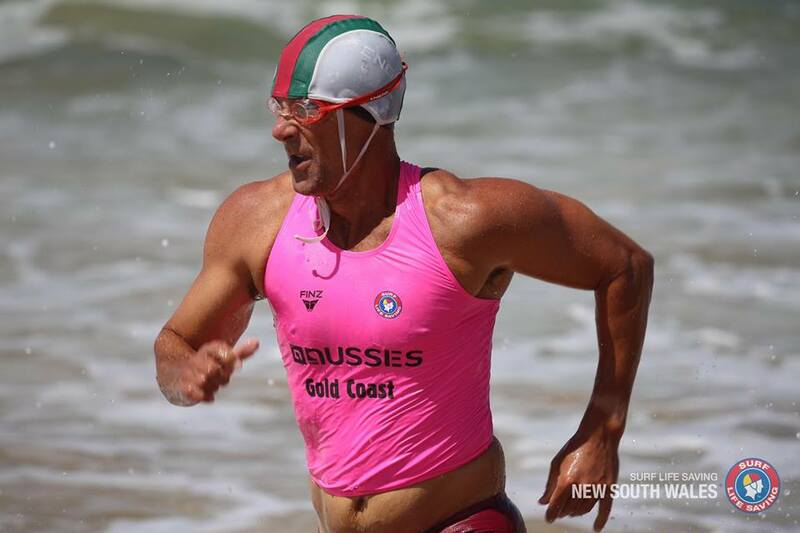 Avalon Beach SLSC's Chris McGuckin - multiple results!